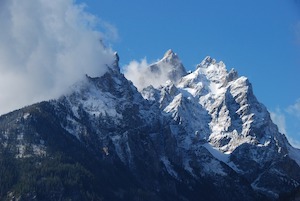 The North Cascades have long been known as the North American Alps. Located in Washington, characterized by rugged beauty, this steep mountain range is filled with jagged peaks, deep valleys, cascading waterfalls and glaciers. North Cascades National Park Service Complex contains the heart of this mountainous region in three park units which are all managed as one and include North Cascades National Park, Ross Lake and Lake Chelan National Recreation Areas. Each area offers different experiences and contains wilderness. Over 93% of the park complex is managed as the Stephen T. Mather Wilderness, which was established by Congress in 1988. The wilderness area was named in honor of the first director of the National Park Service. The best way to see North Cascades is by foot. 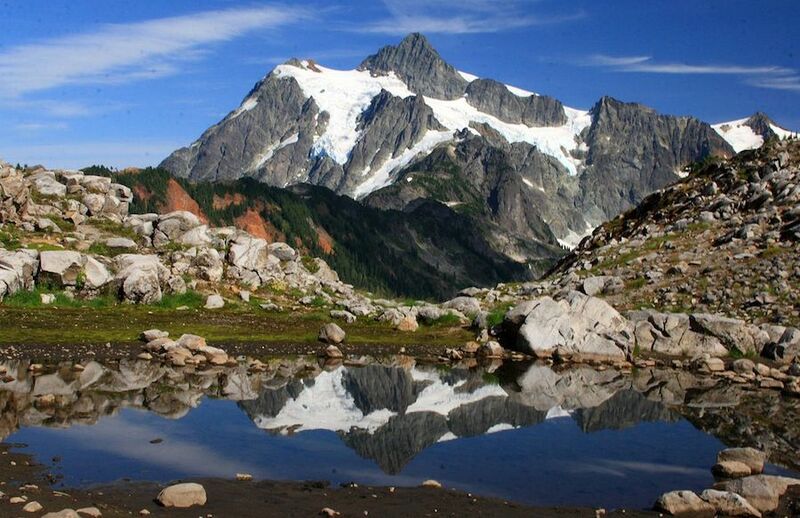 Hike the North Cascades to experience the some of the finest mountain country in North America. This park is one of the least visited parks in the United States. With only one road cutting through the park, much of the landscape is left to explore to those who are willing to hike or backpack. For this reason, North Cascades is a backpackers paradise. Short or long, low elevation or high, there are hundreds of miles of trails awaiting your discovery throughout the season. Plant life in the North Cascades is extremely varied, reflecting differences in rock and soil types, exposure, slope, elevation, and rainfall. Eight distinctive life zones support thousands of different plant species in the North Cascades greater ecosystem. No other US National Park surpasses North Cascades National Park in the number of plant species recorded. The North Cascades is one of the most diverse ecosystems on the planet. Animals with fins, fur, feathers and scales are all at home in this dramatic and beautiful environment. 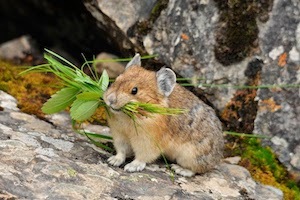 Elusive mammals like the gray wolf, fisher and wolverine wander the wilderness in small numbers, while more adaptable Columbia black-tailed deer, Douglas squirrels and pikas delight park visitors in abundance. The North Cascades are a strikingly beautiful, breath-taking range of rugged peaks. From views of glacier clad peaks to cascading waterfalls to long valley lakes and views that encompass all of the above, North Cascades National Park Service Complex is undeniably picturesque. Along Highway 20 through the heart of the park are numerous scenic turnouts with interpretive displays and information boards, such as the Diablo and Ross Lake overlooks. The former affords a magnificent view not only of Diablo Lake, but also of Colonial Peak and its accompanying glaciers while the latter provides visitors with a vista that stretches all the way into Canada taking in Ross Lake, Jack Mountain and Hozomeen Mountain along the way. What is perhaps the most popular and widely photographed view of the park is actually seen from the aptly named Picture Lake in Mt. Baker-Snoqualmie National Forest to the west of the park. The spot is the starting point of a popular climbing route, which leads into the park and eventually to the summit of Mt. Shuksan. Adventurous climbers often brave the crevassed glaciers and long steep slopes of this or othrer popular climbing routes to gain spectacular panoramas from high upon these splendid mountains. Glaciers glisten as the most striking mountaintop feature of the North Cascades. Boasting over 300 glaciers and countless snowfields, the North Cascades National Park Service Complex is one of the snowiest places on earth and the most heavily glaciated area in the United States outside of Alaska.